In a world of vanishing natural habitats and wildlife, it’s reassuring to know that at least in one place, nature thrives. 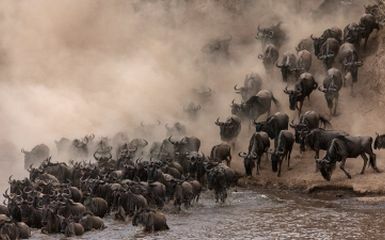 With over a million animals on the move, Africa’s wildebeest migration is a reminder of what the continent was like long ago when the herds filled the horizon. It’s a time of high drama too: the air rings with the alarm calls of wildebeest and zebra as Africa’s most formidable predators – big cats, wild dogs, crocodiles and spotted hyenas – attack the herds while jackals and vultures circle. If you have ever wanted to see nature red in tooth and claw, it’s here on the savannah. Wildebeest Migration safaris deliver more than the great herds though. 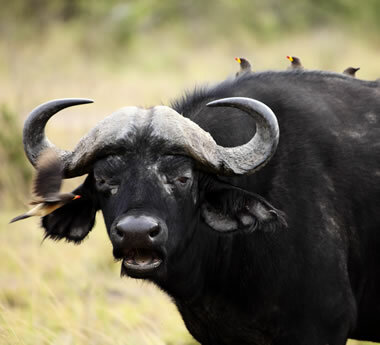 You’ll be on the lookout for elephants and buffalo too, as well as antelope and smaller predators; it’s a great bird watching opportunity and you’ll also have the chance to interact with local Masaai warriors, many grazing their cattle within sight of the wildebeest. Find out where and when to go for the migration below; we also have a range of pre-packaged wildebeest migration safaris or you can simply contact us with your requirements and we’ll put together a tailor-made itinerary for you.s. The migration is spread out over two destinations: Kenya’s Masai Mara Reserve and Tanzania’s Serengeti National Park. 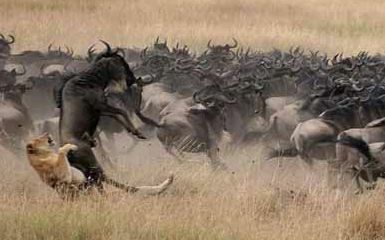 The wildebeest move in a clockwise circle around the two and a safari needs to be planned carefully to coincide your travel dates with the movements of the animals. 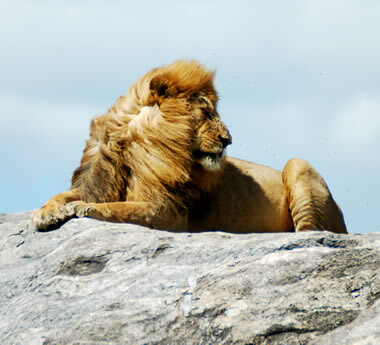 A basic guideline is to go to the Masai Mara from July to late October and the Serengeti between November and June. Several of our itineraries include both destinations to ensure perfect migration sightings. If you want to see a certain chapter of the migration, then you’ll need to know where specifically to go. The high-drama birthing season takes place in the southern Serengeti but the notorious river crossings take place in the north-west Serengeti. There’s also the choice between staying at accommodation in the main Masai Mara and Serengeti reserves or choosing lodges in private concessions. A private setting means exclusive sightings and crowd-free game viewing and is highly recommended during peak migration season. Driven by the seasons, the migration takes a year to complete its cycle. This means you can see the migration throughout the year as long as you are in the right place, but certain highlights happen in specific months only. To see herds on the move, try the months of October and November when the wildebeest leave the Masai Mara and head south for the Serengeti. 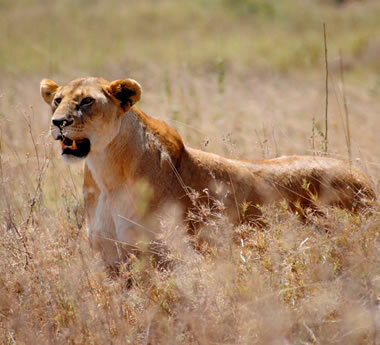 In April and June you’ll see huge concentrations of animals as they trek west across the Serengeti. The mass birthing of calves happens between January and March in the southern Serengeti – this is a great time to see predators such as cheetah and lion in action. The dramatic, crocodile-filled river crossings of the north-western Serengeti however occur between July and August and you’ll need to book well in advance if you want to stay at a lodge in the area. Browse our recommended tours below, each featuring a wildebeest migration safaris in East Africa. 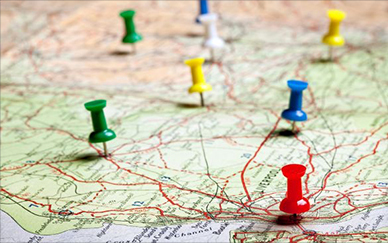 If you’d like us to tailor-make an itinerary based on your needs and budget, then simply contact us and we’ll be happy to help. Africa’s best experience-based travel with Safari Online: gorilla-trekking, migration safaris, romantic travel & more.